eroc, wtma, gallegoc and 10 others like this. Ok looks like I'll be the first one as the watch arrived today. First my apologies for the quality of the photos, I can only do so much with a camera phone on a rainy overcast day. 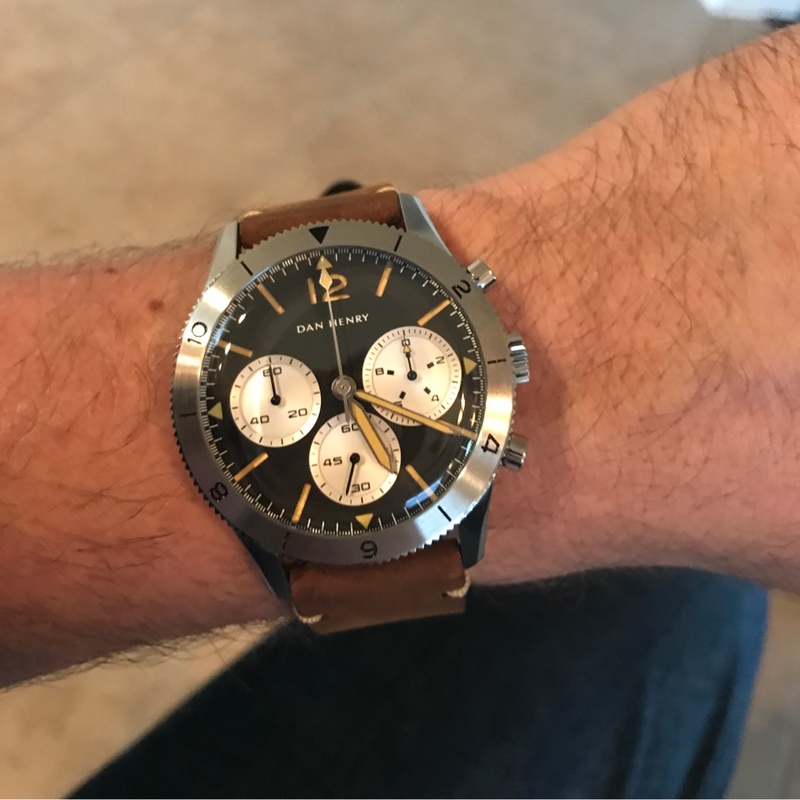 I ordered the Dan Henry 1963, shipping was quick and the communication was excellent as they answered my email questions quickly. Opening the box I found a plastic tube holder/container, nice touch, inside was the leather and canvas storage pouch, again nice touch. 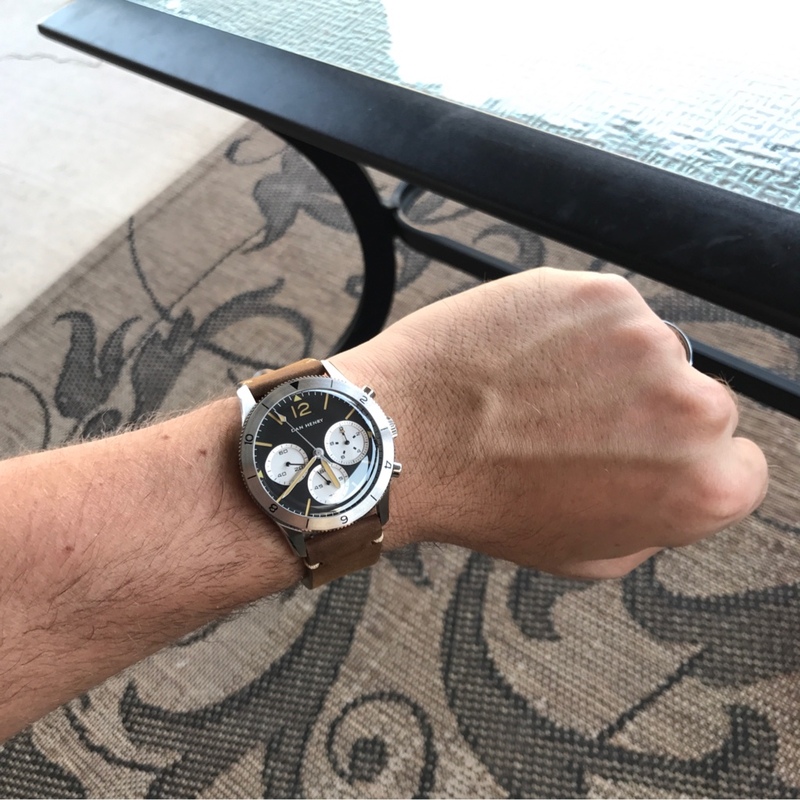 I was hoping for the wow factor and I wasn't disappointed, pulling out the watch I couldn't wipe the smile off my face. 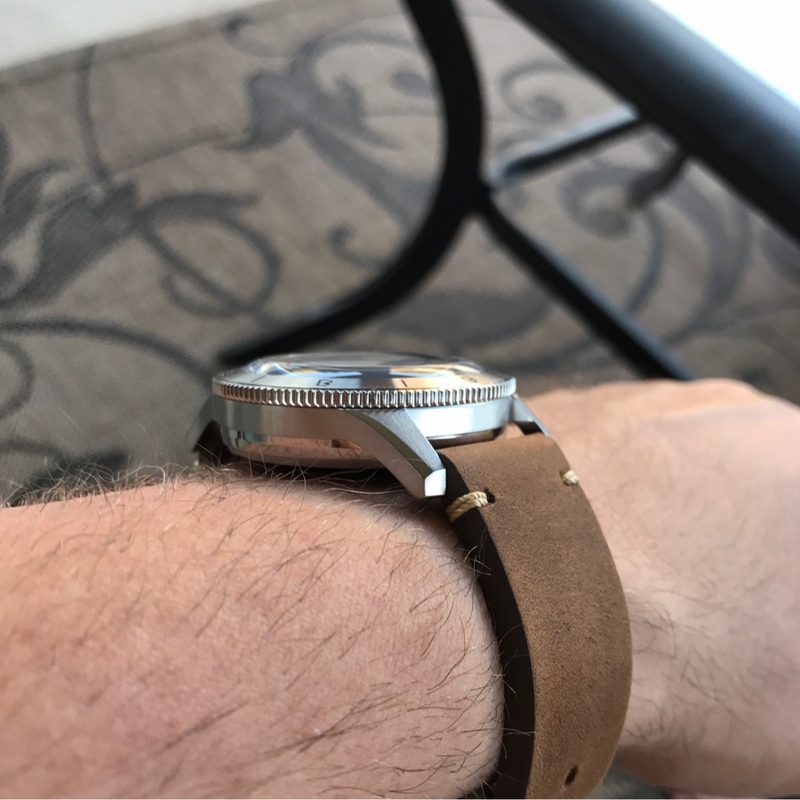 The watch had a good weight to it and does not feel cheep and for that matter the watch does not look cheep, did I really pay only $230? I love brushed watches and this watch is nicely done very pleased. The dome crystal is well executed its just the right height and just the right amount of distortion. 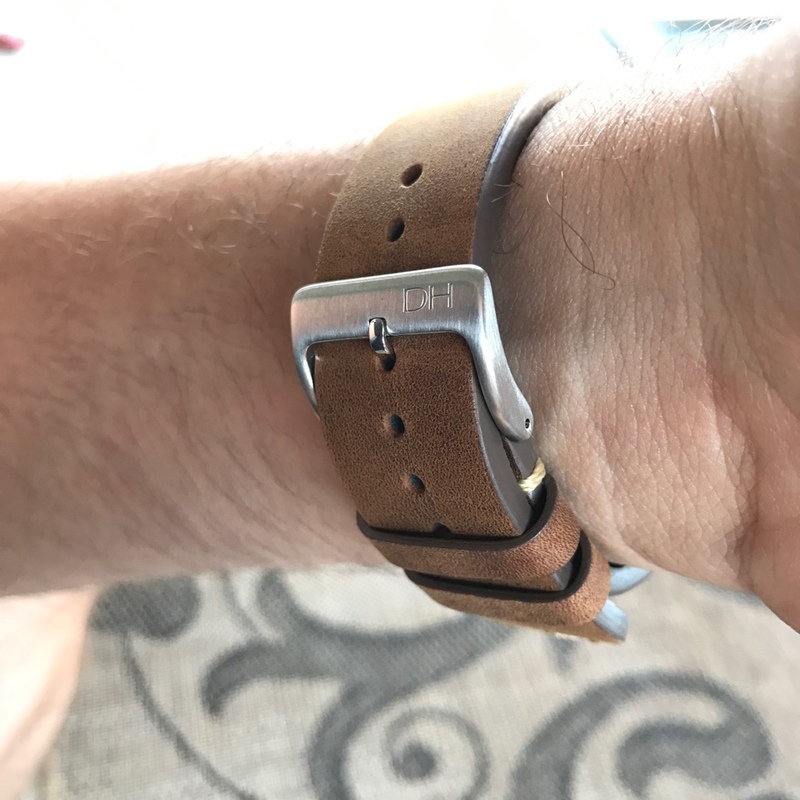 I'm not a leather strap person as I prefer bracelets but I find the leather strap very comfortable and it fits me perfect, most times I try on a leather strap the holes line up and make it either too tight or too lose on my wrist, but not this time. Now my pet peeve with quarts is when the second hand does not hit the marks, it just drives me nuts guess that's why I'm a wis, to my relief this one hits the marks. At this price point you cant go wrong this is a very well executed build and I'm thrilled. beefyt, ninzeo, Guzmannosaurus and 17 others like this. Unfortunately i'm heading overseas for a couple of weeks today and my 1970 hasnt arrived yet so I wont get to post any pics of it until mid Nov, i'm guessing others will have received theirs by then. There was a slight hiccup with the postage service used but Dan's customer service in sorting things was extremely fast and really a pleasure to deal with. As others have said, very promising for a new micro brand. Looking forward to your impressions and pics! 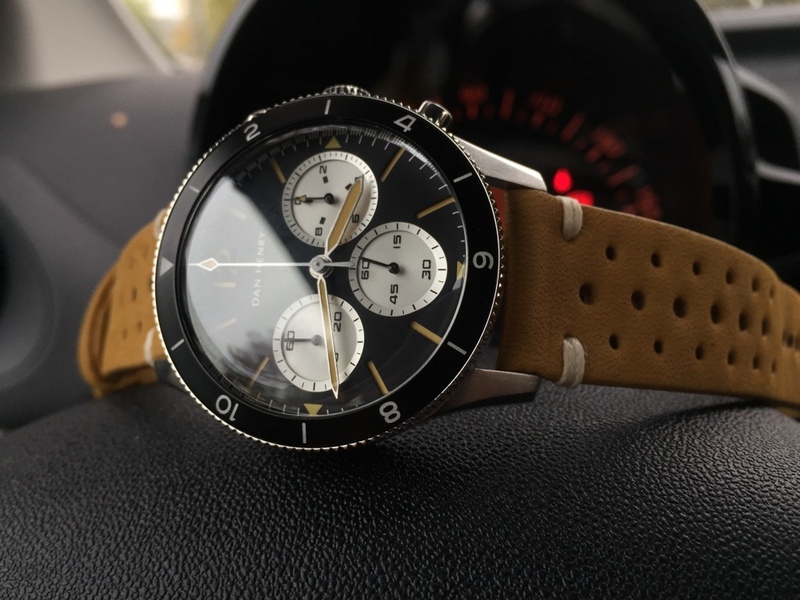 Just got my silver bezel 1963. To sum it up in one word: QUALITY. From the packaging to the accessories to the watch itself. I just don't get it. How the flip does this only cost $230??? Let me know if you want to see specific shots. Here's a straight on dial shot. I just can't believe the quality for the price. Guzmannosaurus, eroc, wtma and 8 others like this. You guys have the lug to lug and height on this? Looks nice! I come up with a L2L of 51mm. 13mm height. Hopefully someone will chime in if I'm mistaken. parsig9 and ChiefWahoo like this. The 1963 looks great, although I wish it came with an acrylic crystal instead of mineral. I'll have to find my calipers but honestly it doesn't matter. 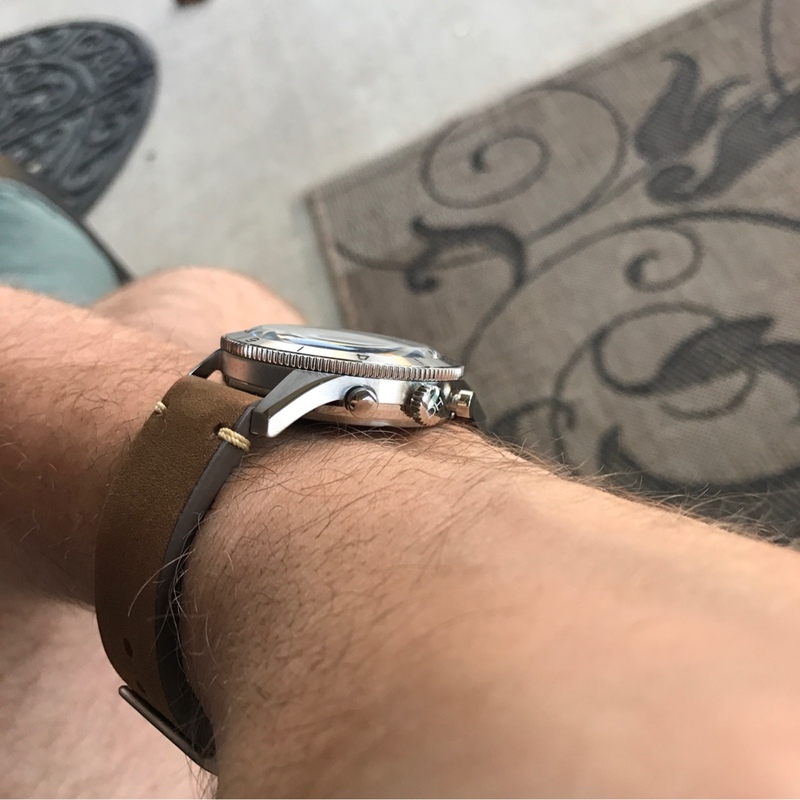 The proportions on this watch are just right. It doesn't feel 42.5mm. More like a 40mm beefy watch. The strap is surprisingly comfortable and thick! I'm not sure the domed glass is doing it for me. It heavily distorts anything around the edge. Luckily I can still spend $75 to get it replaced with a flat sapphire and still have an incredible value watch. I don't know how Dan is making anything off these! robbery, Karan Kohli, saltddirk and 8 others like this.